The Louisiana senator could build the Keystone XL pipeline with her bare hands, and it probably still wouldn’t give her the boost she needs to win the runoff. In a cockeyed attempt to save one of their own, Senate Democrats are poised to do something truly stupid. 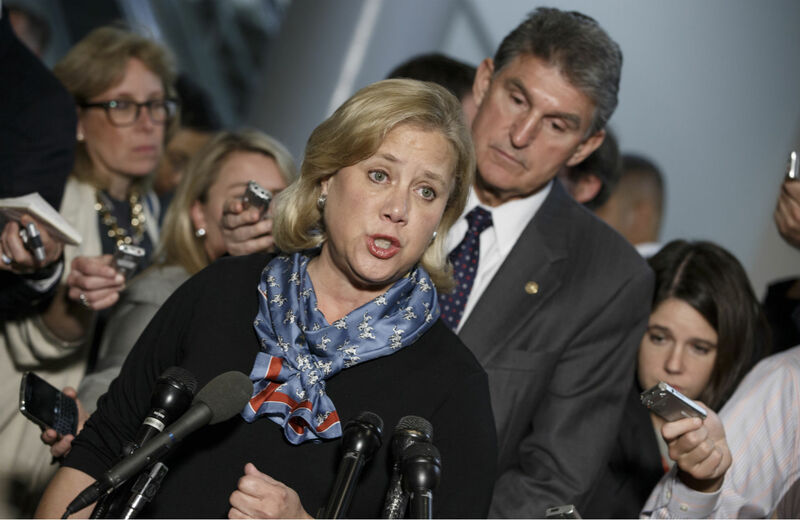 Louisiana’s Mary Landrieu, after failing to win enough votes to avoid a runoff in her Senate race, is centering her prolonged bid for re-election on a bill to fast-track the Keystone XL pipeline. Democrats have long blocked such legislation in the Senate, but all of a sudden they’ve decided to bring it up for a vote, likely before Thanksgiving. The decision is both hypocritical and irrational. Landrieu’s victory or loss will not alter the balance of the Senate. More importantly, there is no evidence to suggest that passing a pro-KXL bill will improve Landrieu’s chances in the runoff, where she faces Representative Bill Cassidy, a Republican who is just as pro-Keystone as she is. (He sponsored the House version of Landrieu’s bill, and the lower chamber is scheduled to vote Friday.) Landrieu’s entire re-election campaign centered on her being big oil’s best friend; voters know that already, and it wasn’t enough. Landrieu finished ahead of Cassidy by less than a percentage point, and both were far below the 50-percent threshold needed to win outright thanks to Tea Party candidate Rob Maness, who captured a startling 13.8 percent of the vote. Maness is now stumping for Cassidy; just three days after the election, the two men and their wives went on a double date. Even if the pipeline were the only issue motivating Maness’s supporters in the runoff, it’s not clear why holding a KXL vote in the Senate would convince them to support Landrieu, because again: the vote will do nothing to distinguish her from Cassidy. It’s far-fetched, even downright loony, to think that voters will forget about their hatred of Obamacare and alienation from the Democratic Party just because the Senate held a vote in November that would have been held next year anyway. Those voters were never Landrieu’s ticket to victory, although she pandered to them throughout her campaign by running to the right on everything from immigration to the environment. She captured less than 20 percent of the white vote. Now, Landrieu’s only realistic path to re-election depends on turning out virtually all of what remains of Louisiana’s shrunken Democratic base. Is KXL—which really has nothing to do with Louisiana—really what’s going to get them to the polls? What makes the least sense of any of this is the timing. If Harry Reid really, truly believes that the pipeline is a magic bullet for Landrieu, why in the world didn’t he bring her legislation up for a vote months ago—when the entire Senate hung in the balance? Polls consistently indicated that Landrieu would have her best chance to beat Cassidy in the general election, not in a runoff, so there was no reason to save the bullet. If Democrats want to help Landrieu now, they could fund her campaign. Instead, the Democratic Senatorial Campaign Committee canceled more than $1.6 million in advertising space it had reserved in Louisiana media markets. The result? Ninety-six percent of the TV spots concerning the runoff in the past week are pro-Cassidy. Politics aside, what Senate Democrats are considering is a terrible bill. Fast-tracking the pipeline before its route is even finalized means that the project would be exempt from requirements in the National Environmental Policy Act, the Clean Water Act, the Endangered Species Act and other environmental protections. And taxpayers would bear the cost of cleaning up leaks and spills since companies who transport oil from tar sands are exempt from paying taxes to the Oil Spill Liability Trust Fund. It’s not certain that Landrieu’s bill will actually pass the Senate. A Democratic aide told Businessweek that at least thirteen Democrats would vote for it. That leaves supporters just shy of the fifteen needed from the left side of the aisle, assuming unanimous support from the GOP. But veto or no, a pro-Keystone vote in the Senate abetted by Democrats would be a new low point for the party in an election year where so many Democrats ran against their own party, failed to present a coherent policy vision, and lost decisively. The only winner will be the GOP. Republicans won’t even have been forced to concede anything in return. Landrieu could lay down the pipeline with her bare hands in front of a hundred cameras and it probably still wouldn’t save her. It would, however, generate $100 billion for the Koch brothers—who, incidentally, have more than $2 million reserved to defeat her.